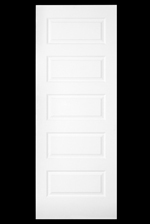 Baird Brothers premium Solid Core Molded interior doors are stocked in a variety of styles. Select styles and sizes are made to order. Molded doors are another great option to decorate your home. Molded doors are available in paintable smooth skin and/or wood grain finish. For any further assistance please call us at 1-800-732-1697 or email.